Sorry for the long absence. Life took over and I had to handle somethings. I have been wanting to cover this since posting on the sweet stuff a little while back. If you couldn’t tell, I love matcha/maccha. The tea itself is the best quality you can get with with antioxidants and flavor in comparison to the what you get from leaves or tea bags. The better quality maccha has an almost artificial bright green color to it. It is slightly bitter to the taste, but in traditional Japanese tea ceremonies, I’ve been told they usually serve something sweet with it to counteract the bitterness. 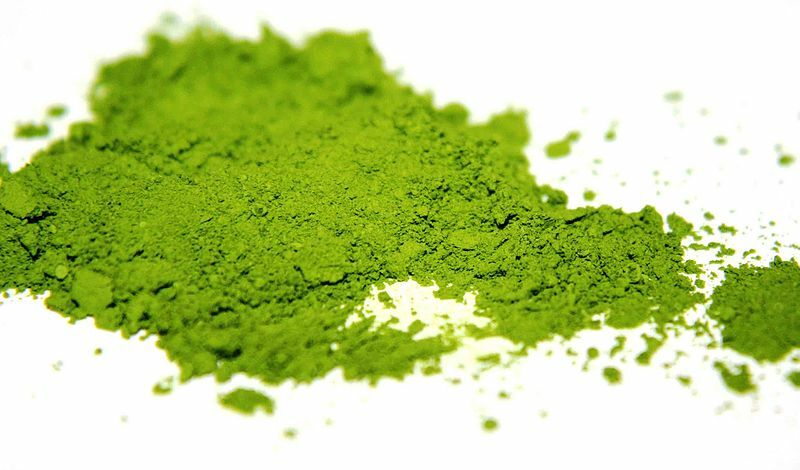 Maccha power is widely used in various products in Japan including the chocolates I’ve mentioned in previous posts, cakes, ice cream and more. A beverage that is popular in Japan is a maccha latte, which in a nutshell is the maccha powder, some type of milk (bovine, soy, almond, etc.) and something sweet added to it (sugar, honey, etc.). That beverage is so popular you can get ready made packets from a couple of companies that you only need to add water and can drink hot or cold. The actual preparation of traditional maccha tea is a bit of an art form in itself and includes its own set of tools. I do the lazy approach with a milk frother/ mini hand mixer, but in the beautiful video below, you can see how to prepare it in the traditional fashion. Next PostBring Back the Plates!